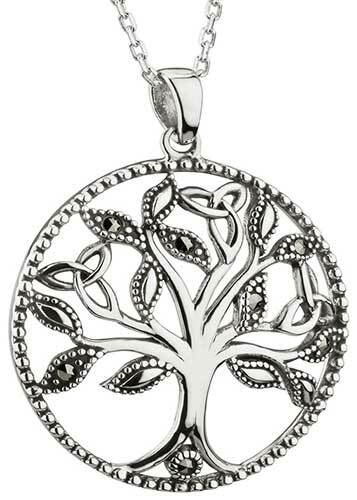 This Tree of Life pendant has been hallmarked sterling silver by the Irish Assay Office at Dublin Castle in Ireland. The buds of this sterling silver Tree of Life necklace feature embossed borders with alternating buds set with a marcasite stone. 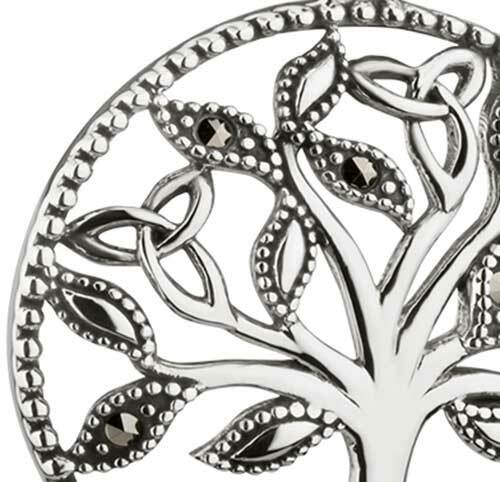 The marcasite stone Tree of Life necklace is further enhanced with 3 Celtic Trinity knots along with an embossed border and a marcasite stone at the base of the trunk. 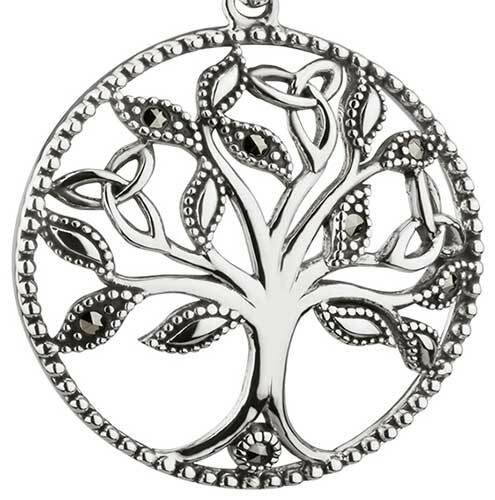 The Tree of Life pendant has a dapped or dome shape design that measures 7/8" wide x 1 1/4" tall, including the jump ring and the chain bail; an 18" long sterling silver chain is included. This Irish necklace is gift boxed with Tree of Life and Celtic knot history cards, complements of The Irish Gift House. The Celtic necklace is made by Solvar Jewelry in Dublin, Ireland.